The Sandra M. Welbourn Service Award was established in 2011 to remember and celebrate the tremendous dedication and contributions of beloved CRC Administrator, Sandy Welbourn. 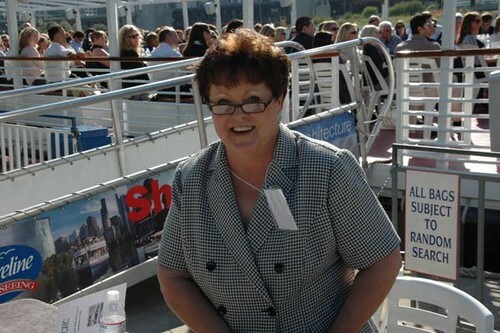 For over a decade Sandy tirelessly gave of her time and talent to further the growth and advancement of the Corporate Relocation Council (CRC) of Chicago. The “Sandy” recipient will be a member who is regarded as an unsung hero of our association – someone who gives selflessly of themselves while leading by example, volunteering their time and talents to make a positive impact on the world. The award recipient will be someone who has demonstrated a meaningful contribution to the advancement of CRC, and someone who moves, touches, and inspires our CRC membership. The recipient will also be admired for their general good will, involvement, positive outlook, teamwork, and for promoting an inclusive environment for CRC. Only CRC members are eligible to nominate or be nominated for the award. Members of the Nominating committee, current CRC Chairman of the Board, CRC Charitable Causes Committee member, and any former FMC Corporation, FMC Technologies Inc., or JBT Corporation colleagues of Sandy's are not eligible to receive the award. The "Sandy" may be awarded annually at the CRC Membership Meeting in November. Please complete the Award Application listed below, Click on link and submit to Suzanne Sichz at suzanne.sichz@wellsfargo.com by October 12th, 2018.